If you own a saltwater aquarium that contains corals, you know that corals will require a greater level of maintenance and responsibly compared to the majority of saltwater fish. You will be obligated to be more aware of the physical, chemical and biological needs of your corals, if you would like to maintain a healthy aquatic environment for them. The major components of caring for your corals consist of the lighting, water chemistry maintenance and water temperature. These components will play a major role in allowing your corals to receive the proper levels of nutrients, which will assist them in fighting off disease and other biological factors. Owning a saltwater aquarium that contains corals will require a consistent saltwater aquarium maintenance program in order to keep ensure a healthy environment for all of the habitats of your tank. Your saltwater aquarium’s water requires regular testing for a variety of minerals and chemical balances. It is not possible to determine the proper pH balance of your fish tank with out acquiring a pH test kit and testing your water. Normal Aquatics has the a variety of maintenance programs available that can fit into your aquarium maintenance requirements and budget. We can service and maintain your aquarium twice weekly, weekly, bi-weekly, or monthly. Because of the sensitivity of the environment of your corals and reefs and how crucial proper aquarium maintenance is, we recommend a recurring maintenance program. Your main objective in setting up your aquarium lighting system is to recreate a natural environment for your fish, corals, and plants. Fish and aquarium life are very much like humans, in that too much or too little light can lead to poor health due to the stresses involved. There is a large selection of aquarium lighting available and there are different factors to consider when choosing a type of lighting that is best suited for your fish tank. As a saltwater tank owner, you should know that a very crucial element involved in keeping your corals consistently healthy and continually growing is maintaining the proper water temperatures for your corals. If you have an aquarium where the temperature levels are abnormally high or low, the zooxanthellae algae which is imperative for most corals to thrive, will die off and disappear from your tank’s environment. Once your corals do not have access to healthy levels of this algae, you may notice the white base of the coral beginning to appear, which is occasionally referred to as Coral Bleaching. The majority of corals are acquired from the Indo Pacific and South Atlantic, which maintain warmer water temperatures that customarily stay in the range of 80 to 90 degrees, so you will want to emulate this level of water temperature in your aquarium to maintain a natural habitat for your corals. 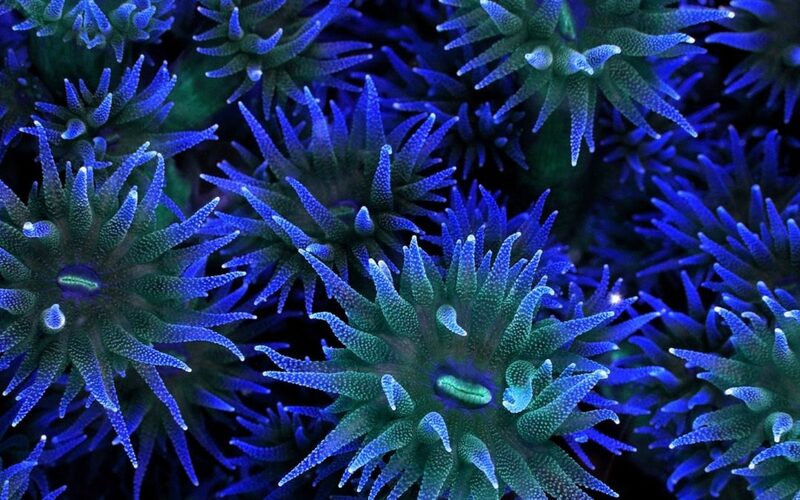 Beyond the three factors we have discussed in this article regarding maintaining healthy corals for your saltwater aquarium, there are many other aspects that need to be considered. Saltwater aquarium and coral maintenance can be a time consuming and often difficult endevour. Normal Aquatics is a full service aquarium maintenance company based in Greenwich, Connecticut, and our experienced staff is thoroughly trained in both Springfield, MA saltwater and freshwater aquarium installation, maintenance, and repair maintenance. Please feel free to contact us at anytime with any questions you may have or to request a free consultation. Normal Aquatics provides custom tank installations, aquarium maintenance and repair, and custom pond installations. Our service area includes the following towns and surrounding areas of Massachusetts; Springfield, Springfield, Chicopee, Pittsfield, Westfield, Holyoke, Amherst, West Springfield, Ludlow, Easthampton, Greenfield, Franklin, South Hadley, Agawam, Longmeadow, North Adams, Northampton, East Longmeadow.